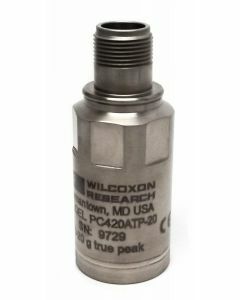 Wilcoxon offers a broad selection of 4-20 mA vibration sensors. 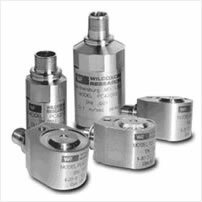 Our 4-20 mA sensors are an accelerometer and vibration transmitter combined in one rugged industrial housing. They provide a 4-20 mA output signal proportional to the overall vibration level. The 4-20 mA output is commonly accepted by process control systems such as a PLC, DCS or SCADA system for cost-effective continuous vibration monitoring. If you need guidance selecting the right sensor for your application, we are always available to help.